From start to finish, the Bible indicates that there is an immediate connection between God's long-term vision and our immediate calling. 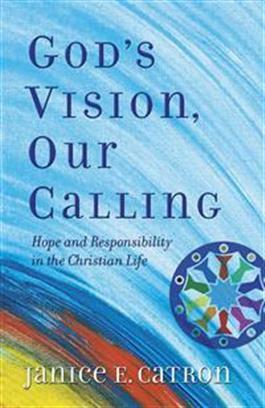 Using Ephesians 4:1-6 as a base, award-winning Bible study writer and educator Janice Catron skillfully uses Old and New Testament passages to explore six aspects of our calling as Christians (relationship, choice, new identity, way of life, competence, and ministry) and how this calling relates to God's vision. Ideal for individual as well as group study, God's Vision, Our Calling includes reflection questions at the end of each chapter and the added feature of a pronunciation guide for Hebrew and Greek words. This concise and accessibly written book earnestly challenges us all to recapture God's vision for the world, the church, and ourselves.